I’ve been wanting to get a good digital camera for some time now, but they are expensive! Right now, the majority of the photos I use on my blog are taken with my iPhone. Imagine how nice my images could be if I used a real camera! Many people are also getting into amateur photography nowadays, too. If you’re looking to buy a digital camera, but can’t afford one, here are some stores that offer deferred billing, so you can buy a digital camera now, but pay for it later over time. Montgomery Ward says “Yes” and frequently provides credit accounts to consumers when other retailers have said “No”! Get quick approval up to $100 credit with payments of only $10 per month. They offer a giant selection of brand name items including Canon, Vivitar, Polaroid, Kodak and Minolta digital cameras. Shop Wards.com now! ABT offers 12 months special financing on electronics and appliances plus free shipping on thousands of products. Choose from name brand digital cameras, camcorders and accessories, such as Nikon, Canon, Sony and more. Shop ABT.com now! 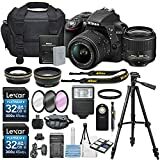 FlexShopper carries name brand (Nikon, Kodak, Olympus, Canon, GoPro etc) compact digital cameras, SLR digital cameras and camcorders that are available to rent to own for as little as $5 per week – Qualify today for up to $2,500 instant spending limit with no money down, no hidden fees (and bad credit is okay). Shop FlexShopper.com now! Gettington lets you choose to pay back in 4 payments or up to 24 monthly payments on thousands of brands including Sony, Samsung, Nikon, Polaroid, Vivitar, Fujifilm and more. Application takes less than a minute! If you already have a Gettington Credit Account, click here to shop! KEH Camera sells used photography cameras and equipment and accepts Affirm for payment. Save up to 40% off retail and get a free 180-day warranty. Shop Keh.com now! HSN (Home Shopping Network) sells name brand digital cameras and camcorders, like Pentax, Canon, Nikon, GE and more. You can make 5 FlexPay payments or use your HSN credit card for 9-month VIP financing. Fingerhut carries thousands of name brand products (including Nikon and Canon digital cameras) with no down payment and no layaway. Affordable monthly payments. They to say “Yes!” when others say “No” if you have less than great credit. If you already have a Fingerhut Credit Account, click here to shop! Amazon offers a free $50 gift card for applying and getting approved for their Amazon Rewards Visa Card that you can instantly apply towards a digital camera plus earn 3% back on your Amazon purchase. Shop Amazon.com now! Samy’s Camera offers flexible, cost effective financing through Southern California Leasing on orders over $5,000 on drones, quadropters, cameras and equipment. Shop Samys.com now! If you live in the UK, Jessops is a online photography store that has flexible repayment options available on all purchase over £200 and Interest Free Finance available on selected purchases over £250. Shop Jessops.com now! Can’t find the digital camera that you’re looking for? Check Into Cash offers loans up to $1000 deposited directly into your bank account to spend anywhere you want. Apply for free in minutes! The following online stores all sell digital cameras AND accept PayPal, so you can choose PayPal Credit (formerly Bill me Later) at checkout to make monthly payments on digital camera. No Payments + No Interest if paid in full in 6 or 9 months. No Interest if paid in full in 6, 12 or 18 months with minimum monthly payments. Once you have a new digital camera, you may want to check out photography tips here. What kind of digital camera do you recommend? More buy now, pay later stores. Kim has been helping people save time and money online since 1998. Time To Buy A Watch? Buy Now, Pay Later!